One of the most popular slots to have been made over recent years, the Rocket Man slot game is an interesting mix of new and old. If you have been playing slots for a while, you will immediately recognise the sounds the game makes when you press the spin button, which is just the same as the classic Wolf Run. Rocket Man is a 5-reel, 99-pay-line slot machine from IGT. The game is centred around the famous comic book star of the same name. Much to our delight, the rewarding release has kept all the charm of the original cartoon, so the fans will have an opportunity to revive memories, enjoying the exciting adventure, this time taking place on the reels. The main symbols mostly relate to the superhero theme, so you will come across the Rocket Man himself, a beautiful damsel in distress, female reporter, the villain holding a cigar, golden bars, bombs, and a bag of diamonds. An atomic power jar acts as a Scatter symbol, and is key to triggering the Bonus feature. Wilds are represented with the flaming word 'WILD', and they substitute for all other icons, except for Scatters to complete a winning. The main features you can benefit from in the Rocket Man slots are the Free Games feature that can be re-triggered, and the Tumbling Reels system. 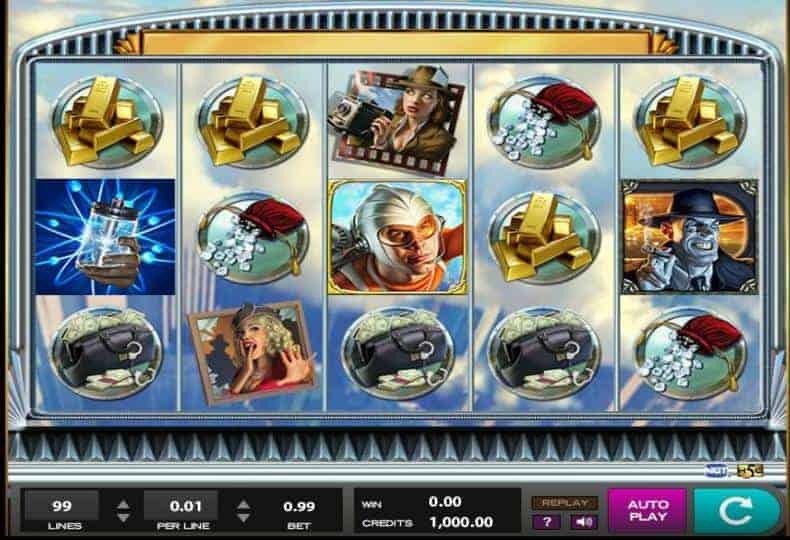 To trigger the Free Spins round, you are required to land three atomic power jars on the reels one, two, and three, which will in turn award one to four free spins. You will note that the reels will be automatically spinning during this special round, and Wilds will pop up on a more regular basis, to boost your winning potential. Another draw of the slot is the Tumbling Reels feature, where symbols contributing to a winning combo disappear, to be replaced by new ones, and, hopefully, form more winning combinations. The potential maximum prize in the base game is 5,000 coins, awarded for lining up five Rocket Man symbols on a pay-line. Slot enthusiasts from Australia and New Zealand can look for the game under the pokies section, whereas the UK, IGT-powered casinos, will probably put it together with popular fruit machines, that are exactly the same as the Las Vegas original, the only difference being the terminology commonly used among British punters. The game itself is in the style of Da Vinci diamonds, in that the symbols fall from the top of the screen and winning lines see them explode, ready for the reels to fall into place again. That way, you can get several wins from a single spin.